On November 3, we had the honor of hosting Mr. Tang at the Golden Bridges Courtyard to talk about his experiences in the U.S.-China space. Henry Tang has been a leading presence in U.S.-China relations for over 30 years. In 1990, with good friends I.M. Pei, Yo-Yo Ma and other prominent Chinese-Americans, Mr. Tang co-founded the Committee of 100, a network of the world’s most influential Chinese-Americans. 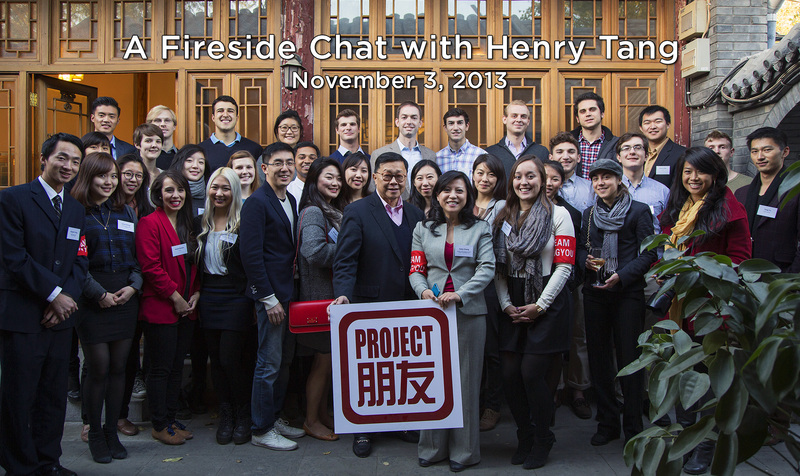 On November 3, we had the honor of hosting Mr. Tang at the Golden Bridges Courtyard for a fireside chat to talk about his experiences in the U.S.-China space. It was clear our audience of students and young professionals also cared a great deal about the U.S.-China relationship and wanted to know how to help people understand China better. But the flip side held true as well. 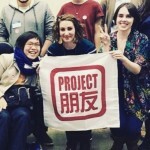 Americans in China also had the ability to help Chinese people understand America. “Whether you get appointed by the President of the United States or not you are all ambassadors,” he reminded the audience. As for Mr. Tang, he got interested in Sino-American relations early, when he was just a kid. That realization ultimately led him to over three decades of living and breathing U.S-China relations, culminating in the creation of numerous nonprofits supporting Chinese-Americans and Sino-American ties, including the Committee of 100. After the Tiananmen Incident in 1989, U.S. officials thought about terminating diplomatic relations with China. There was a sense in America that China and the Chinese would need to pay for the incident. To promote continued diplomacy, over 40 high-profile Chinese-Americans joined together to create the Committee of 100. The Committee leverages the collective influence, resources and experiences of its members to address important issues affecting U.S.-China relations and the Chinese-American community. The Committee has come a long way since its inception in 1990. At that time, the original members remained anonymous to avoid senate investigations and questions from people who thought it was a subversive group. Fast forward to 2013, when Committee members were welcomed by Chinese Premier Li Keqiang at the Great Hall of the People. Nowadays, the Committee is praised in both China and America for enhancing this important bilateral relationship. As he fielded questions from the audience, Mr. Tang continually emphasized the importance of studying Mandarin and living and working in China. 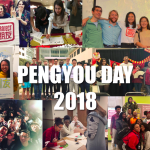 A big thanks to Henry Tang for taking the time to share his wisdom with pengyous in our courtyard! Check out our photo gallery for more photos and stay tuned for videos from the chat! Henry Tang is the managing partner of Carnegie Towers Group, a global strategic investment advisory organization to mutual funds, pension funds, hedge funds and institutional investment managers. A 35 year investment banking veteran of Wall Street, Mr. Tang has participated in the global development and transformation of the capital markets that exists today. As an experienced securities management executive, he has been engaged in domestic and global securities and banking activities for several of the largest Wall Street investment banks, among them, Salomon Brothers, Lehman Brothers, Prudential, and Jefferies & Co.In addition, he has also had a long-standing commitment towards fostering conditions for the advancing Asian economies through public policy. To further this goal, he has been active as a governor, chairman and co-founder of Committee of 100, a non-governmental public policy organization engaged in U.S.-China relations since 1989. He also spearheaded the Committee’s efforts to bring equity to the Dr. Wen Ho Lee case which resulted in the dropping of espionage charges against Dr. Lee.Prior to this, he had an 18 year engagement as chairman, president and director of the Chinese American Planning Council, a New York public service agency which pioneered in changing the delivery of public services to the Asian and Chinese American communities. His commitment to diversity and opportunity development also led to a Presidential appointment to the Federal Glass Ceiling Commission where he helped advance Asian participation in many levels of private and public sector management. Henry Tang has also served on the New York-Beijing Sister City Commission and as founder- director of the Asian Financial Society and the Chinese American Executive Forum. In 1987, Mayor Edward Koch granted him the Ethnic New Yorker Award. He is also the first recipient of the Asian American Business Achievement Award and was awarded the Ellis Island Medal of Honor as well as the Bridge to Brotherhood Award. In 2007, he was recognized as the Homecrest Man of the Year. 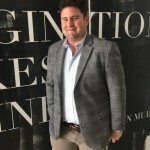 Currently, he serves on the advisory board of New York Metropolitan Museum of Art and trustee for the Committee on Economic Development, a Washington based policy organization comprised of retired CEOs. 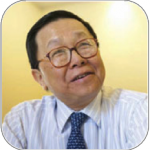 Previously, Mr. Tang was on the board of the New York 2012 Olympic Committee and the Hopkins-Nanjing Center. Mr. Tang holds a BS and MBA degree from Columbia University. 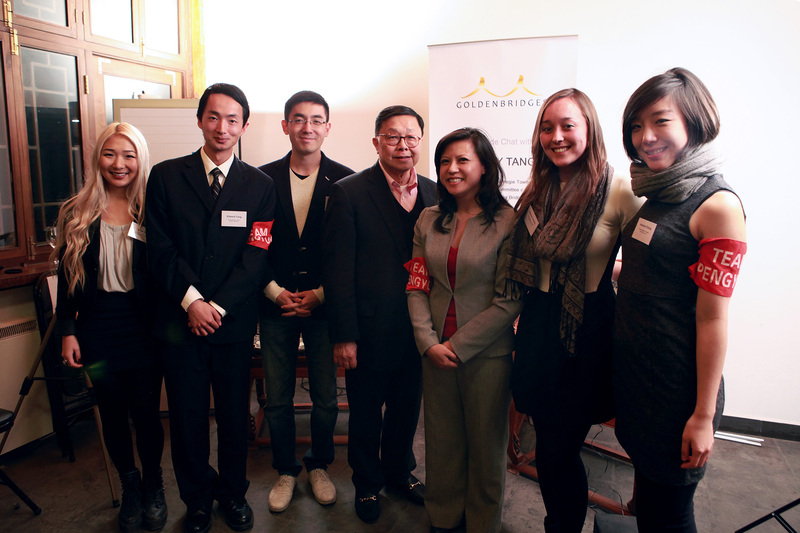 Mr. Tang serves on the board of directors for Golden Bridges Foundation, which houses the Project Pengyou program.